The Occupational Safety and Health Administration, or OSHA, requires that employees keep track of any injuries that happen on the jobsite. Requirements for reporting vary depending on the type of injury and size of the business. Construction is an industry with one of the highest levels of jobsite accidents, because of the nature of the work and the use of scaffolding and other complex equipment, and site managers are usually responsible for meeting OSHA accident reporting requirements. Here is what you need to know. Any time an injury or illness occurs on the jobsite, even if the incident is minor, OSHA requires a Report of Injury to be completed. These reports contain statements from employees and employers describing the incident, the nature of the injury or illness, what treatment was needed, and what can be done to prevent the incident from happening again in the future. OSHA also requires these forms to be completed for near-misses that could have resulted in an injury, such as a fall from scaffolding. It is the site manager’s job to ensure these forms are completed as required. When a severe injury occurs on the jobsite, OSHA requires expedited reporting. Any time an injury leads to an amputation, loss of an eye, or a hospitalization, a report must be filed within 24 hours of the incident. If a fatality occurs, a report must be filed within eight hours. Fatalities that occur due to injuries that happened on a jobsite must be reported to OSHA if they happen within 30 days of the initial incident. 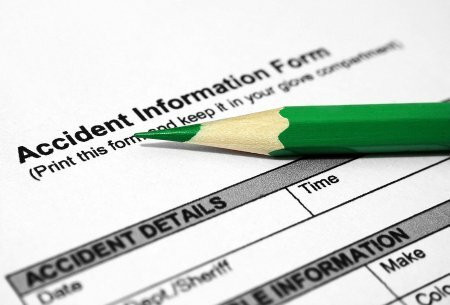 Site managers are required to keep records of all accidents and injuries for five years. Companies are required to submit full records of all of the accidents and injuries annually to OSHA. Records submissions happen every February through April for the year prior. Scaffold Resource is committed to safety on worksites and offers consulting services to ensure that you are using your shoring or scaffold rentals in Washington, D.C., safely. For more information, call us today at (301) 924-7223. Construction scaffolding provides temporary work platforms, and is capable of holding employees, tools, and materials up to a certain weight. However, scaffolding alone may not be sufficient for your work site. Workers still need a way to transport heavy items up the building, and for the workers themselves to make repeated trips up and down without becoming overly fatigued. Personnel and material hoists are the solution. With these specialty hoists, heavy equipment and materials can be transported to where they are needed with minimal risk to the worker. As the work gets underway, debris can be transported out on the hoist. Installing personnel and material hoists is also a smart idea when the construction project must be completed on a tight schedule. Compact hoists are available for work zones in which space is a critical issue, such as in urban settings. 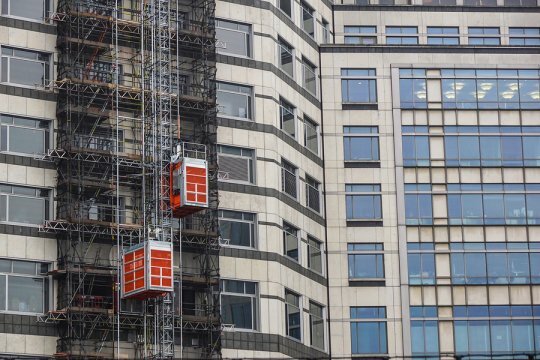 Scaffold Resource provides construction solutions for builders, including personnel and material hoists. Call (301) 924-7223 to request information on any of our services, including shoring systems and scaffolding rentals available in Washington, D.C. Soil instability is a major concern at every excavation site, but installing an appropriate shoring system allows workers to complete projects safely. As you watch the accompanying video, take note of the main causes of soil instability. Soil instability occurs when the downward stress and horizontal support are not balanced. Unequal horizontal and vertical stresses often occur because of water saturation of the soil, the effects of frost, or vibrations emitted from machinery near the excavation site. It can also occur due to defective shoring systems or poor maintenance of shoring. Scaffold Resource in Washington, D.C. has earned a reputation for being industry leaders in safety. Call (301) 924-7223 or explore our website to view our portfolio of shoring projects . 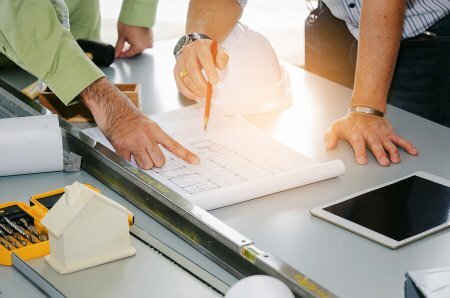 Budgeting can be challenging for construction and restoration project managers, namely because unexpected problems routinely crop up, and because it’s easy to mistakenly neglect to add certain requirements to the budget. You may find, for example, that tube and clamp scaffolding isn’t enough by itself, and that your workers also need personnel and material hoists. It’s best to err on the side of caution and take more time than you think you’ll need to develop a comprehensive budget. Don’t forget to add in the cost of debris removal and disposal. Builders throughout the Washington, D.C. area rely on Scaffold Resource to provide expert engineering guidance, top-notch products, and competitive pricing. We’re known for our award-winning safety record. You can direct your questions about shoring erection and scaffolding rentals to a friendly representative at (301) 924-7223.